This course offers some practical suggestions for how to reduce the use of seclusion and restraint. It addresses an important issue in the care and treatment of children in residential and/or foster care: the use of restraint and seclusion as behavior management tools. The course defines restraint and seclusion, presents facts and myths regarding their use, and presents data regarding the negative outcomes of the use of restraint and seclusion including child and youth deaths and re-traumatization. Trauma and posttraumatic stress disorder are described and their relationship to experiences of restraint and seclusion are presented. More effective and therapeutic approaches to behavior management are presented including the importance of family involvement, the three level public health model of prevention is applied to the topic of concern, and non-coercive behavior management strategies are described. The content in this course is helpful for administrators, supervisors, caregivers, policy makers, and others who work with children and youth. Describe the myths about the use of restraint and seclusion. 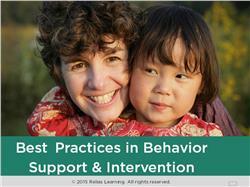 Implement successful strategies to reduce the use of restraint and seclusion. Explain the risks related to restraint and seclusion use. 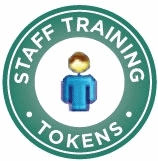 The target audience for this course is: entry and intermediate level Psychologists; entry and intermediate level Social Workers; entry level Nurses; entry level Professional Counselors; in the following settings: Hospital, Long-term Care.